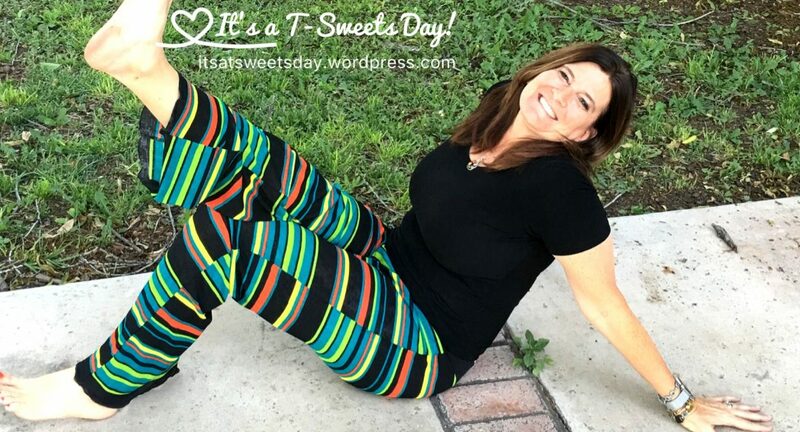 I’m Seeing Triangles – It's a T-Sweets day! Published on September 10, 2018 by Tracy @ It's a T-Sweets Day! Just look at these happy triangles all gathered together into a sunshine star! I am loving how this quilt is turning out:). This quilt is sewn strip by strip with careful placement of each colored triangle. It’s not difficult sewing, but it is tricky to get the right placement. It is easiest if you can lay your already sewn together, finished strips out in order to place the next row. A large cutting table is perfect for this! Remember when I said I was only going to use yellow in this quilt? I couldn’t resist adding a tiny splash of gray. Like a small hopeful rain cloud or two on my August Sunshiney day. I think it will add a little bit of contrast and interest to the finished quilt. I like the straight line sewing. I recommend using a magnetic seam guide to keep things straight and even. This little Singer Featherweight is the perfect machine for the job:). I also recommend the Hex and More ruler. It makes the lining up of the points super easy. The cut off tip lines up quite nicely with the sewing edge of the fabric. It also greatly reduces the bulk in the center of the star where all of the points meet. I am trying to place my triangles to match. I am also going to add quite a few triangles to make more stars because my 4.5″ triangles make a baby sized quilt if I only make as many in the picture. So… if you want to make an August Sunshine triangle quilt of your own, all you need is the Hex and More ruler and some happy fabrics in your favorite shades of yellow, or pink, or blue, or whatever your favorite may be. How about orange, black and purple for Halloween? I hope that I will have this quilt finished, quilted and bound by the next time I post about it. It will need to be done by the end of the month for our MYSTERY QUILT ALONG reveal. I’m so excited! Until next time, I hope you have a SWEET day:)! Fun idea, to have the odd grey cloud in amongst all the sunshine 🙂 Did you starch the fabric before cutting, to help control all those bias edges on the strips? Yellow is such a happy colour; in any tone! Lovely work. The pop of gray is perfect! A Halloweeny inspired quilt would be so lovely!! I love those combos of colors as I think they just mesh together quite nicely! You could even throw a dash of a lime green color in there! Great idea Abbey! I might add a green backing pattern. Too fun:)! This has been on my bucket list to do for a long time. I like the way you are putting this together. Thanks for sharing. I fell in love with this vintage pattern in an old Quilt mag back in the late 1980’s. I kept the picture of the quilt and pattern for it but it was an original news paper pattern. Instead of triangles the pattern was diamond pieces that would have been easier to hand piece then with machine piecing we do today. I like the triangles in a strip which is still a point challenge but doable by machine. This is going to be a cheerful beauty. such precise point matching and lovely fabrics! Nice piecing and love the palette! These triangles are so pretty! I have that hex ruler but haven’t gotten a chance to put it to good use. By the way, it might be my computer, but all your words in this post were on a busy background and very difficult to read. Oh so weird! After I posted the comment, I am able to see the post just fine on a white background. Must have been my computer. Your quilt looks great, Tracy. I love what you are doing with it. I’m making a Halloween quilt, but it definitely doesn’t have this kind of triangle in it! Edi has the Salem Witches colored, but hasn’t started stitching it. Isn’t that a coincidence?